Transportation is what moves us. We all rely on transportation to travel to and from school, work, and recreation, so no one can expect to remove the substantial costs of transportation entirely from their budgets. Unfortunately, American consumers have several nasty transportation habits that are unsustainable, inefficient, and damaging to the public interest in terms of public health, community spending habits, and national security. These habits end up costing consumers more than just money, which makes it important to put some thought towards affordable and socially responsible alternatives to typical transportation practices. There aren’t many easy solutions to these complex transportation problems, but a little concerted effort by all may change the course of American habits and their accompanying consequences. American usage of petroleum-based energy continues to outpace the rest of the world. According to the U.S. Energy Information Administration, in 2012, Americans consumed 18.6 million barrels of oil per day, which makes the United States the world leader in petroleum consumption. According to the United States Department of Energy, the United States population has grown 24.1% in the past 20 years, but has seen a 38.1% increase in transportation energy use. This means that the rate of energy used for transportation has grown over 50% faster than the American population. But oil-based energy products are a non-renewable resource, which means that as Americans (and citizens of other nations) increase their energy consumption, prices will continue to rise and resources will continue to be used up. Environment. First of all, the environment takes a hit when people from any nation deplete a nonrenewable resource. The tapping and transporting of oil can destroy natural environments and create disastrous oil spills. Furthermore, burned petroleum is also a well-known pollutant that contributes to the rise of carbon emissions, which have contributed to the recent and rapid rise in global warming. The occurrence of global warming is well-documented, and is linked to melting ice caps, the rise in ocean levels, the dying of animal species, and the volatility of weather patterns and natural disasters. Foreign Dependence. The U.S. Energy Information Agency reports that about 40% of America’s net energy use comes from foreign sources. This can prove problematic from a foreign relations perspective, particularly when the United States finds itself in a position where it’s trying to protect its access to foreign oil. George Washington himself cautioned future generations with the directive to “steer clear of permanent alliances with any portion of the foreign world.” America requires nearly half of its oil from foreign sources, which is clearly an indebtedness that requires the nation to act when the flow of oil is threatened, whether it be through war, political posturing, or alliances with dubious foreign leaders. Social Impact. And from a social responsibility standpoint, petroleum producers are depleting resources outside of America, putting international workers at risk of exploitation. Oil field work is notoriously dangerous, and many of the foreign workers hired to do this dirty work are given pitiful wages and little protection if they are injured or killed on the job. According to Dr. Jean-Paul Rodrigue’s The Geography of Urban Transport Systems, most people will choose to travel by car if they’re presented with the option between a car, bus, train, or bike. This is true of individuals all over the world, and not just Americans. Access to a vehicle improves a person’s comfort level, speed of travel, and overall convenience. Because Americans are often given the choice to travel by car rather than other modes of transportation, most consumers opt into traveling by vehicle. In fact, 88% of American commuting trips are completed by use of a private vehicle rather than another means of transportation. The use of a car isn’t necessarily a bad thing. Car ownership has long been seen as an indicator of nationwide economic success, and no one can fault a person for preferring convenience to inconvenience. But sometimes, convenience comes at a hefty cost. Traveling by car for simple trips around town can drive up fuel consumption per capita, reduce neighborhood inter-connectivity, and deplete a community’s green spaces by demanding additional roads and parking spaces. Traveling by car increases America’s per capita petroleum consumption and can also have adverse effects on the community – but the amount of time that Americans spend on their daily commutes is also tied to a public health crisis. According to the American Public Health Association (APHA), the average American drove 10,000 miles by car in 2008. 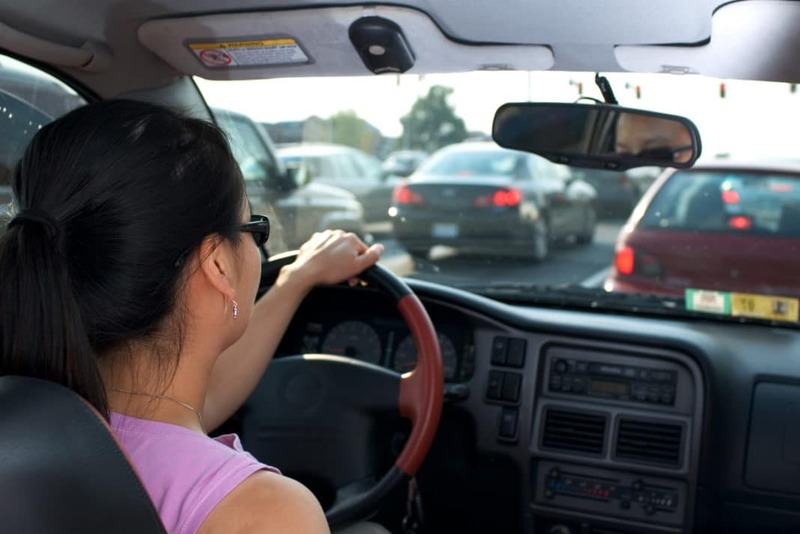 The APHA states that this amount of driving is linked to high rates of obesity, pollution-related breathing problems, and injuries and deaths from car crashes. In fact, the APHA goes on to state that the amount of time Americans spend driving reduces quality of life and length of life due to driving-related health conditions. The United States spends between $372 and $402 billion addressing these driving-related problems. According to the U.S. Bureau of Labor Statistics, Americans spent 16.9% of their annual incomes on transportation. For comparison, Americans spent just 7.3% of their annual budgets on transportation in 1949. According to a study published by Hofstra, other developed countries tend to hover closer to spending 10% to 12% of their annual incomes on transportation. Allotment of personal budgets toward transportation has more than doubled in recent American history, which means that less of the American budget is available for other purchases or investments with a net return. Consider, for instance, that America has a net savings rate that is close to zero, according to Reuters. Reexamining our priorities would not only reduce our dependence on transportation, but would also increase available income to devote to savings. You don’t have to buy a hybrid car to reduce your consumption of petroleum products. Instead, be creative. Most Americans have to commute to work, but there are ways to reduce consumption that are financially feasible and workable within your current lifestyle. Ask your boss if you can telecommute at least one day per week to save on consumption over the course of the year. Try carpooling or taking public transportation a few times each week. Also, make sure that your car’s engine is functioning properly and is as fuel-efficient as possible. Each of these options can actually save you money while reducing your petroleum consumption. Even if public transit isn’t a viable option for you, there are ways to embrace inconvenience for the good of your community. Take a bike to the grocery store. Instead of driving your child to the park, load him or her up into a jogging stroller and walk a mile. Again, you can get creative with how you want to embrace inconvenience, but you might even find that the slower pace of living is a breath of fresh air. Weekday commutes are to blame for most of Americans’ drive times, and these commutes are often unavoidable. But if you spend over an hour a day in your car, you’re especially at-risk for suffering from obesity, cardiac problems, premature death, breathing difficulties, and traffic accidents. No matter the length of your commute, this type of risk deserves some attention. Try to creatively address your drive time by working flex time so you can avoid peak traffic hours. Also, consider petitioning your city leaders to provide a workable public transportation system that runs on its own infrastructure. Buses, unfortunately, use city streets just like cars, so they’re not immune to congestion. While this isn’t a quick fix, establishing an infrastructure in your town that helps commuters avoid traffic patterns is a good way to ensure you’re not wasting your life and your health on a weekday commute. Many American families have more than one car, and each car requires its own gas, insurance, and repair bills, not to mention ongoing monthly payments. If possible, share just one car between all family members. Yes, this solution is inconvenient, but it has been established that convenience can come at a substantial cost. If your family can’t make it with just one car, consider trading in one of the cars that has a monthly payment for a vehicle that you can pay for outright. This will help you avoid the substantial costs of carrying two car loans, and can reduce insurance costs as well. The costs associated with American transportation habits are high, and they’re not all financial costs. American transportation habits negatively impact the environment, health, and financial independence of the entire nation. Habits with substantial risks deserve consideration and potentially inconvenient solutions if it means that the nation is able to enjoy sustainable and healthful alternatives. Consider how you can creatively address your transportation habits to reduce your fuel consumption and improve your community, your health, and your pocketbook. How do you keep your transportation costs as low as possible?